Hold onto your hats, here's the latest edition of The A-List. Issue #61! HUDSON PREPARES FOR TAKEOFF...Fresh in the news is word that Jennifer Hudson is in talks to play fellow Oscar winner Forest Whitaker's daughter in a film called Winged Creatures. Word is she's thisclose to signing. Kate Beckinsale, Dakota Fanning, Guy Pearce, Jackie Earle Haley, Jeanne Tripplehorn and Embeth Davidtz have already signed on. Rowan Woods (Little Fish) will direct the Unruly Films flick, which follows how witnesses to a brutal murder suicide in a fast food restaurant cope in the aftermath. If the deal works out, it will give Hudson a chance to rest her vocal chords and stretch her thespian skills--as well as act in another star-studded project. ZIP-A-DEE-DOO-DAH...Walt Disney Co.'s 1946 film Song of the South may have been historic--but many also consider it as racist for its depiction of Southern plantation Blacks. Well, look for a possible re-release of the film as nearly 115,000 people have signed an online petition urging Disney to make the movie available again. It was actually re-shown in theaters--in 1956, 1972 and 1986--but never reissued. Is there that much of a market for a Song of the South DVD? We suggest an updated remake--good for business and society. THE EYE HAS IT...Seems CBS took the top spot in Black households, according to our friends at TargetMarketNews.com which tracks marketing news targeting minorities. During the week of March 19, CBS reported the biggest gains with Black viewers in the season's biggest week. The total number of Black households watching television during the third week of March was one of the biggest audience periods of the season. Despite the spike at CBS, "American Idol" still took the top and second place during its back-to-back airing, but the show did lose 636,000 Black households from the week prior. Over at CBS, the network captured 11 positions on the top 25, with the NCAA Men's Basketball games leading the way for CBS programs. While this is great news for CBS, will ad revenue trickle down to more positions and productions by African-Americans? BACK THAT THANG UP...We can't remember a time when Black media tita ns have taken such a public role in political endorsements. Radio One founder Cathy Hughes (right) has publicly backed Hillary Clinton in her presidential '08 bid, while just this week BET co-founder Sheila Johnson announced her endorsement of Democrat Barack Obama, who also has Oprah in his corner. Johnson's ex-husband, BET founder Bob Johnson, has put his power behind Clinton. Now, the Civil Rights leader, radio personality, and former Bill Clinton Spiritual Advisor Rev. Jesse Jackson, has come out for Obama as well. We love it when Black media exerts its power, now if their preferred candidate gets in let's hope these media leaders will have some pull in increasing minority media ownership and addressing some recent troubling FCC rulings. CALL FOR ENTRIES...The 11th Annual American Black Film Festival (ABFF), happening in L.A. October 25-29, is calling all filmmakers for entries. The deadline for submission is July 11. Besides the usually categories, such as film short, feature film, in a future forward move the ABFF is also sponsoring a Mobile Movie Mogul Contest--deadline June 15. Visit http://www.abff.com/. As this fest is attracting more and more insiders, it might be a wise idea to send in those entries ASAP. VIRTUAL OFFICE...We heard about a little gadget that is sure the ease the lives of any on-the-move Hollywood mogul. Voice on the Go provides mobile subscribers with access to email, contacts, calendar and other content anytime, anywhere by voice on any mobile phone or BlackBerry smartphone. Now, there'll be no excuse for not answering those emails. SLICE, PLEASE...Mobile tech solutions and services company Crisp Wireless just inked an extensive partnership with NBC Universal. Under the agreement, Crisp Wireless will support NBC's strategic initiative to expand their multi-platform approach to include mobile devices. It covers NBC Entertainment, NBC Sports, Bravo, and all NBC-owned and -operated TV stations. The question remains, however, when are they going to start making made-for-mobile content, hire some outside Black production companies to make it and share the pie? A NEW ERA?...Roland S. Martin's recent article in The Chicago Defender, "Gordon's departure from NAACP could lead to Bond's ouster" points to another possible change in NAACP upper echelon--an effort to oust longtime board chairman Julian Bond following the resignation of President Bruce Gordon. If this happens, would Gordon (who was reportedly at odds with Bond) return? And while change is afoot, would there be a more concerted effort to address issues of concern for Blacks in Hollywood? Here's hoping, and you can bet The A-List will be leading the way in either reporting and/or creating this much-needed new horizon. DIVINE DIALS...While DirecTV has dropped The Gospel Network, Radio One has launched another gospel program; this one with Grammy winner Yolanda Adams in morning syndication on its radio stations. The Yolanda Adams Morning Show will air in nine cities around the country. This should prove to be a solid business move for Radio One as it will probably boosts its ratings--and revenue (see item below)--considering Adams' popularity within the Gospel world and beyond. NUMBERS GAME...Speaking of Radio One, the company has issued preliminary report on loss in fourth quarter of 2006. Net broadcast revenue dropped about 2 percent, to approximately $89.2 million. There was a 9 percent drop in station operating income, which was about $39.7 million. Net broadcast revenue decreased to approximately $89.2 million from approximately $90.6 million, or 2 percent. But says the company, these declines were partially offset by growth in the Baltimore, Cincinnati, Louisville and St. Louis markets. CUBE SQUARED?...Hot on the tail of his latest family friendly fare, Are We Done Yet? 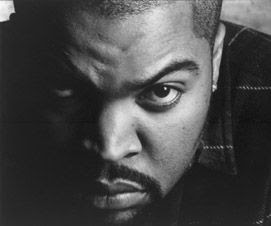 (see review below), the one-time controversial and radical rapper Ice Cube has become attached to a light-hearted, fun-for-the-whole-family comedy called Tough Love, based on a true story. The Thomas Carter-directed flick will be for Dimension and Cube will produce. On top of this, we also hear Cube is still trying to develop a film version of the '70s TV show "Welcome Back, Kotter." Can we stop this middle-of-the-road madness? STUCK ON THE SHELF?...We keep hearing about this project by former Onyx rapper, turned-actor Sticky Fingaz called A Day In The Life. Sticky wrote and directed the flick. Last year, Bokeem Woodbine, one of the stars, praised the film to The A-List. Now "The Wire's" Michael Kenneth Williams, another one of movie's stars, tells us, "The films pure genius. It's like a Shakespearean rap saga, a hip-hop opera. And Sticky shot it in a way no one has ever seen before." Also in this mysterious movie are Omar Epps, Mekhi Phifer, Malinda Williams, Drina DeNiro (Robert's daughter), among countless other Urban celeb names. The buzz keeps growing about how great A Day In The Life is, but there still doesn't seem to be a studio attached. Could it be to avant-garde for Hollywood? New data shows that people who use the Internet to read the news have a greater attention span than print readers. The study, entitled "EyeTrack07 " by Florida-based journalism school Poynter Institute, revealed the opposite of what has long been believed--that Web surfers jump around and scan instead of reading. According to the study, online readers read 77 percent of what they chose to read while broadsheet newspaper readers read an average of 62 percent, and tabloid readers about 57 percent. Among the study's other findings: People paid more attention to items written in a question and answer format or as lists; they also preferred documentary news photos over staged or studio shots. The study was conducted in four U.S. markets (readers of the Rocky Mountain News in Denver, The St. Petersburg Times in Florida, Minneapolis' Star Tribune, Philadelphia Daily News) and involved nearly 600 readers. With a budget of just $270, Fred Andrews launched the first ever Kansas City Filmmakers Jubilee 11 years ago. Now, it's larger than life. Having been a longtime film lover, Andrews wanted to create a showcase to highlight the city's thriving film community. And once be built it, they came. That first showcase, a one-day affair, attracted 450 people to screen 10 of the 27 entries received. "I have never even been to a film festival, but I knew I wanted a film festival that would do right by the filmmaker. We had submissions and a jury," says Andrews. Well, the filmmakers were more than impressed and urged Andrews to continue the project the next year. "I called it Jubilee because everyone uses Film Festival. And I truly wanted a celebration of the filmmakers and all their work." says Andrews. Today, the festival shows shorts, features, has panel discussion, seminars, even a music component--and BBQ--over the course of an eight-day period. According to Andrews, the festival, run by 150 volunteers (including Andrews), aspires to become a premier cultural event in the Kansas City area, attracting regional and national recognition, audiences and visiting artists from around the world. Highlights include: More than 100 films screened; Women Making Movies symposium; Midnight Festival Jam; Future of the Golden Age of Documentaries Panel; Best of Fest Screening; among other events. Another highlight are the visiting filmmakers platform this year. They include: Howard Suber, founder of the UCLA Independent Film and Television Producers Program, UCLA Film Archive, and author of The Power of Film; filmmaker Ariella Ben-Dov, MadCat International Women's Film Festival founder/director/curator; Jayasri Hart, documentary producer/director/editor (Sisters of Selma and Roots in the Sand); and Sarah Jo Marks, founder of At Risk Films (a distribution company for documentaries). The A-List got the facts from the KC Jubilee founder. The A-List: How has the festival grown? Fred Andrews: Our second Jubilee, we had $10,000 worth of prizes, from Kodak, Panavision, etc. It was two to three days. Now we have given out a total of $200,000 in money and prizes. This year we have a $5,000 cash prize for the best short, which is one of the top prizes anywhere for a short. AL: What's new for this year? FA: We have expanded our local competition entries. We have had two categories for a feature films competition: Local, which was just the metro Kansas City areas, and them everyone else--the U.S. and beyond. We've now expanded the local to include ares of the state beyond just metro Kansas City. AL: Is there an attempt to keep the Jubilee as an intimate event, or do you want to get even bigger. FA: We are looking to make this an event that draws people to come to Kansas City. And we're always open to new ideas. Our Crosscut: Women Making Movies panel was an idea of one of our board members. Today it is one of the most popular segments of the Jubilee. And we don't just include actresses, directors on the panel. We have editors, animators, casting directors. So if someone comes up with an idea, a way to execute it and find sponsors, we'll do it. AL: So you're always fine tuning? FA: Yes. For six years we had a monthly new indie feature film screening program. It had a great run, but economically we could not sustain it. We have now developed a series of workshops and special screening events that take place throughout the year. These all act as a great lead up to the festival in April each year. AL: Music is a strong component of the festival. FA: Yes. Kansas City has a strong jazz history and I wanted to create a forum where we would get the local filmmakers interested in trying to capture this history on film. We have a selection of films focusing on music, and this year we have created a separate event with CinemaJazz where you can see musicians perform. AL: Have you been able to draw Hollywood names, as well as broker deals at the Jubilee? FA: This hasn't been a real deal-making type festival, but we have attracted some big names from Hollywood. We're not like other festivals. People come and they aren't bothered in Kansas City. It's that Midwest politeness. AL: The Jubilee screens many shorts, and the there's a wide variety shown during each screening. FA: While we do have features in competition, most of our entries are shorts. The maximum length of a short for us is 30 minutes. And we like to offer a mixture. You'll be able to go to a screening of shorts and you might see a documentary sort mixed in with an animated short. A film festival is supposed to give people access to stuff they don't normally see. AL: How many films will you screen this year? FA: We show 20-25 percent of entries. We received 475 entries; and we will show 80 short films. WHERE WILL THE NEXT BLACK MOVIE MOGULS BE DEVELOPED? Stay in school. It's a mantra everyone repeats--from parents to politicians. But what if you're studying at a Historically Black College or University (HBCU) and you want to earn your degree in film education? That could be difficult. Out of nearly 107 HBCUs, we could only find less than a handful that had film programs. That leaves the majority of more than 228,000 HBCUs students out in the cold if they want a career in Hollywood--unless they enroll elsewhere. Or have their filmmaking dreams deferred. Thing is African Americans spend money on and invest more time viewing the visual arts than anyone else. Studies have found that African Americans spend more time watching television and going to the movies than any other segment of the population. The cultural segment's investment can never really be made back without greater educational support and it would seem that HBCU's would be the natural flowerbed for such growth. After all, an HBCU is an institution where the principal missions were, and are, the education of Black Americans, was accredited, and was established before 1964. There are Hollywood notables who have attended HBCUs--from Oprah Winfrey (Tennessee State) to actors such as Michael Clark Duncan (Alcorn State), Ossie Davis (Howard), and Wanda Sykes (Hampton). There are even a few filmmakers on the graduate list: Stomp The Yard producers Rob Hardy and William Packer (Florida A&M University); Keenan Ivory Wayans (dropped out of Tuskegee senior year); and of course, Spike Lee who took film courses at Clark Atlanta University and graduated with a B.A. in Mass Communications from Morehouse College. Yet a majority of HBCUs, including Hampton University, Lincoln University of Pennsylvania, and Grambling State University, do not offer a concentration in film. Hardy, co-founder of Rainforest Films, headed to an HBCU on scholarship. But while he studied Mechanical Engineering, earning a Bachelor of Science degree, Hardy says film studies would have been a choice if FAMU offered it. "Most [HBCUs] don't have film programs; most only offer Mass Communications," notes Hardy, who later attended the NY Film Academy. While stellar learning institutions which have helped enhance equal educational opportunity for students, HBCUs appear to be remiss in areas of visual, theatre arts or film. They have mostly been the leading institutions in awarding baccalaureate degrees to black students in the life sciences, physical sciences, mathematics and engineering. According to veteran filmmaker Julie Dash (Daughters of The Dust), film is not just an art, but “a science,” one that must be learned. As a graduate of CCNY with a B.A. in film production and a M.F.A. in film and television production from UCLA, it boggles Dash’s mind as to why more HBCUs don't offer a major in film. And in fact when The A List attempted to get comments from various HBCU deans about the void of film programs, none would talk. But according to one film student, Drew Williams, while he did find a film program at one HBCU, he discovered it to be lacking. Williams originally attended Howard University as a film production major. He says he was he was lead to believe that Howard offered an “outstanding film department.” It turned out not to be what he expected. “It's actually an outstanding communications--not film--department,” says Williams, who then considered going to a film school like SUNY Purchase. Instead he transferred to Temple University for their film studies. “Temple has exceeded my expectations tenfold,” he says. “I took two classes my first year and I am continuing to hone the skills I need. The classes are challenging and many resources are at my disposal, for less money," explains Williams. But says Howard lecturer Michael Holman, who holds a degree in film production from New York University, others shouldn't count Howard out. He believes that unlike other schools, the film program at Howard offers their students more intimate attention and emphasizes writing, producing, and editing. Still, why the lack of film programs at HBCUs overall? According to Holman, it all might be in the way Blacks view film and the arts. “Black people see art as a luxury," he says. "We don’t see it as important enough; it’s our responsibility to change that perception.” And since filmmaking may be viewed by many in the culture as a "luxury," it can't be perceived as a viable career. “I think the idea of the arts frightens Black Americans, or makes them think it’s a step back into poverty-i.e. the ‘starving art’ syndrome," notes Holman. Adds Hardy, "I don't think that a major in film was ever really viewed as a necessity by the founders of these institutions. I'm surprised that more of the liberal arts HBCUs haven't adopted these programs. Part of the issue now is funding. Many of our schools are losing money. So the idea of raising new funds to open an new school of film (with equipment and faculty) can be perceived as a stretch." Although the success of Blacks in Hollywood is the rise, HBCUs remain a step behind the trend. Is the lack of film programs only cheating Black students out of learning the technical aspects of filmmaking, but denying HBCUs the opportunity to develop the next generation of filmmakers to tell their--and our--stories? Perhaps then it is appropriate for students and Civil Rights organizations to voice their concerns--if we aren't able to create truer images of ourselves for media, then someone else will. As many students are lured to HBCUs for their intimate, comfortable environments they would seem like the natural breeding ground for new filmmakers--a place thrive and not be afraid to experiment and spread their cinematic wings. As Hardy says, "It would place [students] in an environment with a plethora of positive and motivated Black people. That resource alone can last a lifetime and help launch a career." In cinematic time, it's been a year since Ice Cube's Nick Persons traveled cross country with unholy duo Lindsey (Aleisha Allen) and Kevin (Phillip Daniel Bolden) in the 2005 release Are We There Yet?. Now Nick and Suzanne, Lindsey and Kevin's mother, again played by Nia Long, are married and along with the kids and dog Coco are living in his cramped apartment. Nick's also sold his half of his sport memorabilia shop from the first film and he's using the money to fund the launch of Sports Page, a sports magazine. Unable to find the space and privacy to finish writing his cover story, Nick is already feeling the pressure to find his family a larger spot when Suzanne announces that she's pregnant. With twins. Enter realtor Chuck Mitchell, Jr. (John C. McGinley). He shows Nick and Suzanne a magnificent country home that's not quite up to spec, but between Nick's confidence as a handy man and Chuck's salesmanship, Nick convinces Suzanne that they can transform it into their dream house. Lindsey, being a prototypical 13-year old doesn't want to leave her friends and Kevin is more suited to the city than the country, but Nick is determined to make his new family and new house work. Unfortunately for Nick being the father to a boy crazy teen and a citified eight-year-old boy, starting a magazine and fixing up a house is quite a bit to juggle. And adding salt to the wound is Chuck, who as the only licensed building contractor in town, is not only more adept at fixing the house but is even more adept at bonding with Suzanne, Lindsey and Kevin. With all that setup there's no true story or emotional arc to speak of in Are We Done Yet? Once the Person family has moved into their new home, the film's formula is to introduce an object/animal/deathtrap/character and then have said object/animal/deathtrap/character scream/hit/splatter/embarrass Ice Cube. Director Steve Carr and screenwriter Hank Nelken repeat this setup and payoff about every two minutes, occasionally taking a break from the slapstick to touch on Nick's struggles being a new father and husband. Strangely, this is supposed to more of a family film than the first Are We, but Allen, Bolden and Long don't have anywhere near the screentime that McGinley does. The sequel is really all about McGinley vs. Cube, and in a twisted bit of storytelling the filmmakers try to justify the choice by giving Chuck a heart-tugging backstory. To say that Nick spends more time working on his new house than working on his new family would be an understatement. That doesn't mean Are We Done? isn't funny. Cube, playing the straight man, is willing to do anything for a laugh. He'll wrestle a giant fish, do pratfall after pratfall and nearly drown in a kayak if it will make you smile. And playing the proverbial thorn in Cube's side McGinley is allowed to go buckwild as Chuck. He gets to be a realtor, a baby (and dog) whisperer, a midwife, a building inspector and a fire twirler. At one point he even gets to demonstrate how nimble and light of foot he is via a bit of capoeira. Predictable yet still fun, kids--they hooted and howled throughout the screening--will be happy to know that their parents should be able to sit through the entire film before they start squirming in their seats. A-List Rating: The C List. -- Charles Judson for the Robertson Treatment (www.robertsontreatment.com). SHOUT OUT TO A-LIST DC DIVA BRITTANY HUTSON, ANTHONY DAVIS IN SAN DIEGO, GIL "EVERYWHERE, ANYWHERE" ROBERTSON, AND CHARLES JUDSON REPORTING FROM L.A.